International Journal of Research in Health Sciences,2014,2,3,750-754. 1Junior Consultant, 2Consultant, 3Professor and Head, 4Research Consultant, Community Health Department, Bangalore Baptist Hospital, Bangalore, Karnataka 560024, India. Objective: To study the prevalence of depression among diabetics and their care givers. Methods: A cross sectional hospital based study was conducted by interviewing the selected diabetic patients and their care givers using internationally accepted Beck’s Hopelessness Scale to determine the prevalence of depression. Results: The prevalence of depressive illness was high (52%) not only among diabetics but also among their care givers (44.5%). 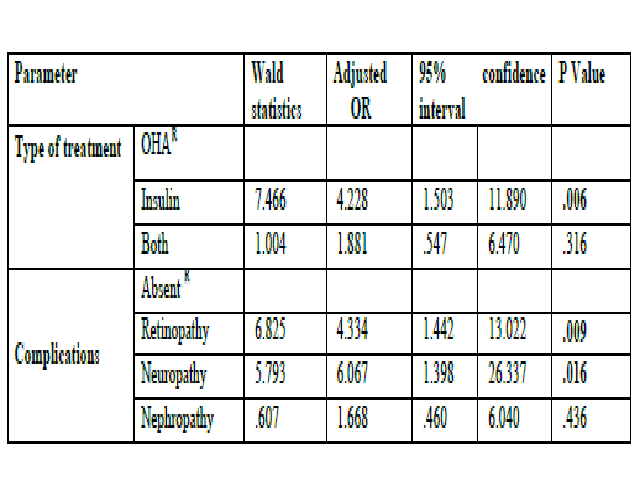 Diabetics with complications (neuropathy and retinopathy) and on insulin treatment were more likely to be depressed than those without complications and/or on treatment oral hypoglycaemic agents. Conclusion: The high prevalence in the care giver group warrants screening and concomitant therapy.